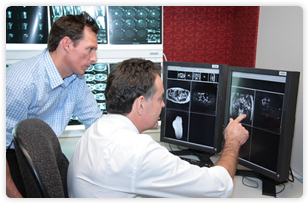 Perth Radiological Clinic operates a network of community and hospital based comprehensive radiology clinics conveniently located across the Perth metropolitan area. The Practice takes great pride in providing patients with a caring, professional and clinically superior service. We do this by continually investing in new state of the art technology, employing talented and compassionate staff, recruiting world class radiologists and in the development of an unparalleled digital network that allows all of our 60 Radiologists access to every case across the entire network. This makes collaboration between doctors easy and immediate. In addition, PRC has the capacity to securely store all diagnostic medical images on line for at least the next seven years.